If you are into livestock farming, you acknowledge the fact that success in production depends heavily on food preservation. When you preserve food for your farm animals and livestock, time is not on your side. Thankfully, there is a modern way to be efficient in food preservation, and it is via bailed silages, which allow you to store them for an extended period with minimal to zero risks of deterioration and spoilage. 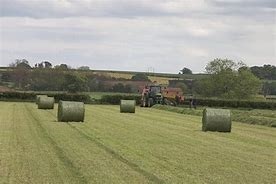 While baled silage ensures you have enough feeds for future use, it is not the only benefit you are getting from it. You also retain the nutrients in the feeds and reduce the cost of production. Likewise, you avoid incurring substantial losses in the farm, thereby allowing you to make more profit. Moreover, baling corresponds to a better environment for the fermentation of the crop. Net wraps are durable enough to withstand outdoor storage. That alone is enough to convince you that it is the best option available for baling. It can resist wear and tear in extended periods without the fear of significant damage. So, if you want to protect your silage from outdoor elements like the sun, rain, and moisture, you wouldn’t need to settle for anything less than a net wrap. The use of a net wrap will guarantee protection against direct sunlight. One of the reasons why livestock farm owners choose to invest in building structures for indoor storage is that they are aware of the potential damage of direct sunlight to the silage. The design of the net wrap allows it to resist even direct sunlight, which means the likelihood of spoilage is at a minimum. Net wraps can resist moisture and prevent water penetration. In using it for balers, you are confident that no water enters or penetrates the silage. You probably already know by now that water contributes to rotting, so you do whatever you can to prevent the entry of water or even moisture. With net-wrapped bales, you come up with an attractive and presentable product. So, if you are planning to sell your extra supply of feeds to fellow livestock farm owners, then preparing them as well-rounded bales using net wrap will make it easier for you to sell them. When you finally go out there to shop for a net wrap, put in some effort and time in finding the right supplier or manufacturer so that you can get a high-quality product, not those cheap ones that could easily break or get damaged.